This holds true for my oldest two daughters who, amazingly, have greatly improved their math skills, science skills, reading skills and monkey-bar swinging skills, all while doing “Nothing” during school hours and who nearly always come home with giant smiles on their faces after spending a day with their (former) grandparents doing “Nothing.” But not so much for my youngest daughter. Our youngest daughter is still a full-time member with our sitter. Most days, for approximately 8 hours, she molds Play-Doh, naps and asks our sitter to help her “find her baby” which she seems to lose on a regular basis. (NOTE: I would not recommend hiring our youngest to babysit your kids). But I look forward to picking her up from our wonderful sitter the most, not because she still runs and gives me a giant hug (which I love) or because she smells like Cheez-Its (which I also love). It’s because when I ask her, “What did you do today?” she doesn’t say “Nothing.” Instead, she gives me The Bite Report. 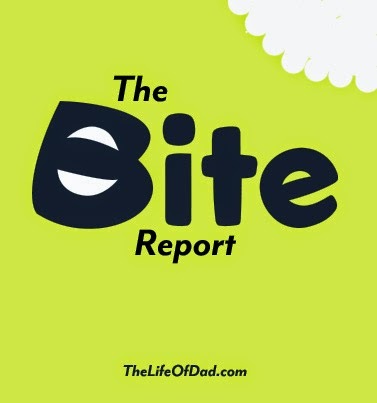 The Bite Report is a daily record of who bit whom (and who didn’t bite whom) at the sitter’s house. She delivers it as if she were Secretary of State, standing on the floor of the Capitol building, recounting the key moments of the day that need to be logged into the national register. Here is an example of a typical Bite Report, though please keep in mind that the names have been changed to protect the innocent (and for my own personal amusement). “What’d did you do today?” I ask. “2Pac didn’t bite anyone today!” she says, as if this were my only concern in life. Now before anyone gets all judgmental and says, “How could you send your kids to a place where kids are biting other kids?” I say to you with a very well thought-out and reasoned response: “Because it’s close to work.” Also all the kids are two-years-old and younger and very rarely does anyone actually bite anyone, but my daughter has committed to memory the handful of times it’s happened (though, like any good celebrity Tweet-Gone-Wrong cover-up, she manages to omit her own biting offenses from the record books). I used to find it a bit concerning that this was the No. 1 news story from her day, but thanks to the lack of activity—and reporting—from my older kids, I find The Bite Report to be as fascinating as TMZ. In fact, I’ve attempted to start an underground gambling ring with my wife based off The Bite Report. She paused as she stared directly at me, taking in the fact that I was wearing cut-off jeans, hadn’t shaved for days and had spent the previous 30 minutes telling her all the fun facts I learned about the boy-band One Direction on Wikipedia. I know The Bite Report has a shelf life, as these kids grow and mature and do other things, like tackle each other. But in a world where big kids are too tired to tell you what’s happening in their lives, it’s still nice to know that every day I can count on one constant report that’s cute and sweet and will forever remind me that, once upon a time, my daughter liked to tell me about her day. Also, if you’d like to receive The Bite Report, please follow me @BrianKlems. And if you’re currently looking for a new gig and are of grandmotherly-age, I know of a family that’s hiring. Sadly, my granddaughter was almost always the Biter. Fortunately, the do all seem to grow up. And today...at 8 years old...we get the Smiley Face report. For my schooler this has been a much harder grade to earn than her marks in math or science. "Nana, you're going to be so proud of me. Today I actually thought about somebody besides me at school." Haha! That Bite Report is indeed better than nothing so enjoy it while it lasts:) Kids grow up so fast these daya. LOVE IT. My 2yo's daycare has a policy where if there is an incident with another child, you get an "incident report," but they do not tell you the name of the other child. I think this is to prevent parents from getting all "your kid bit my kid!" 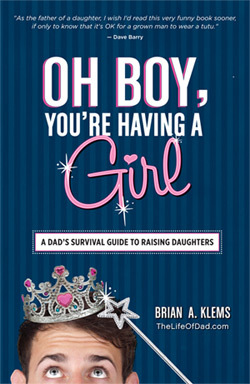 on the other parents. But the thing is, kids get pretty chatty at this age. Somewhere along the line, you go from getting an incident report and driving home wondering who the little rascal in the class is, to strapping your kid in the car and having him announce (names also changed here to protect the guilty), "BIGGIE SMALLS BIT ME TODAY!" So there's no longer a veil of secrecy and you can carry grudges against other kids anyway… I mean, if you're that kind of parent. Dude this is hilarious! A smile I definitely needed today. Thank you! My son would constantly remind everyone of his OWN biting transgressions. He'll be hopeless in job interviews if he carries on emphasising the negative.